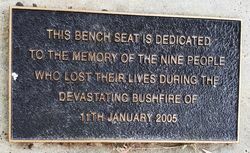 A seat commemorates the nine people who died in the Black Tuesday bushfire in January 2005. 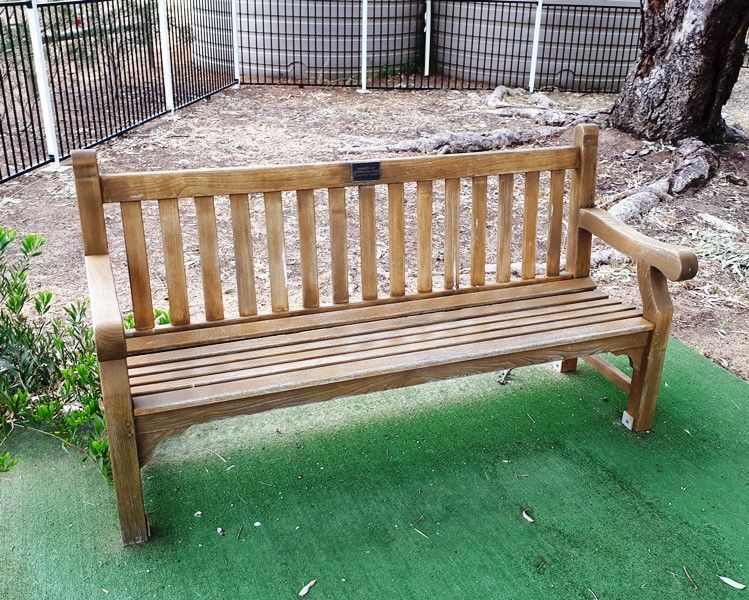 In January 2005, Eyre Peninsula, South Australia, was the scene of a devastating bushfire in which nine people were killed and at least 113 injured. 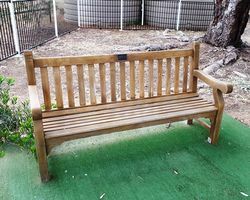 It was one of Australia’s worst bushfires since the Ash Wednesday fires of 1983. The fire began in farmland north of the town of Wangary and spread to the east. Eight people, including four children, died in their cars as they tried to flee the firestorm. A local schoolteacher also died when flames engulfed the Shell Museum at North Shields, near Port Lincoln.